Yes. That is a coffee IPA you see before you. Typically, we expect coffee in our stouts and porters, not our IPA’s, but not this one. Nope. 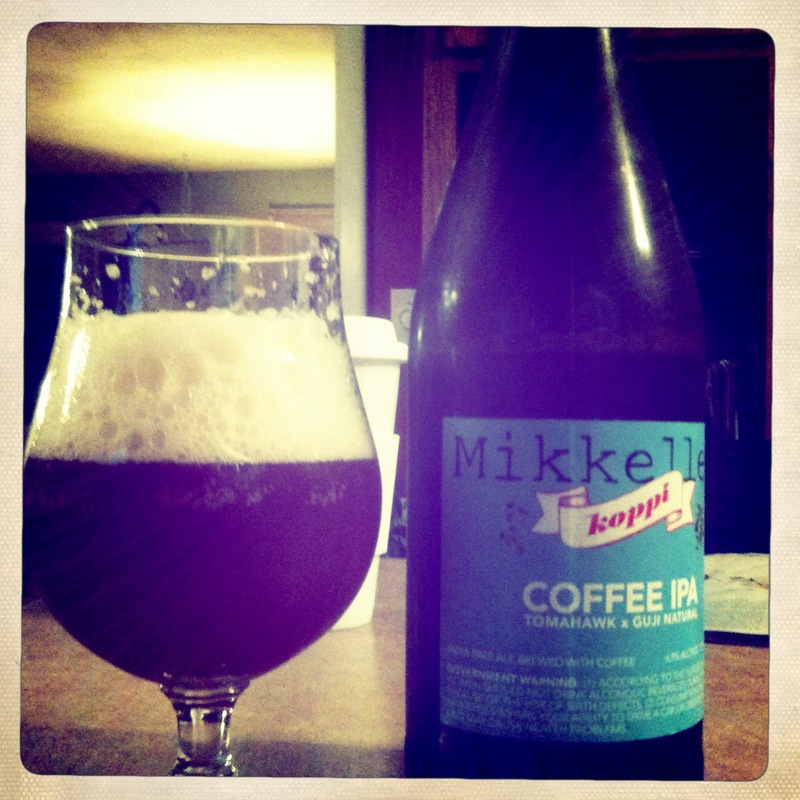 Mikkeller has stretched what we think we know about beer (and coffee) with their Koppi Coffee IPA. Believe it or not, somehow, someway, this beer works. What comes across right away is the sharp bitterness in the back of your mouth. The coffee brings a bitter flavor that supplements the hops. As the beer warms, a fruity flavor reveals itself. It’s more berry than it is citrus, suggesting it comes from the coffee and not the hops. The beer finishes off super dry. A nice drink from beginning to end. A lot of beer drinkers won’t get any of that from this beer. They’ll read “coffee” and wonder where their Starbucks is. If there’s one thing I’ve learned in the beer community, it’s that we expect to drink whatever you’re selling on your label or website. This probably explains why we hate macrobrews, but that’s another topic for another post. Beer enthusiasts will expect an IPA full of citrus fruits and pine trees. This beer won’t meet that expectation either. Mikkeller Koppi IPA uses subtlety and balance in combining two very different flavor profiles to create one of the more interesting beers I’ve had in a while. However, when asked about the beer, I suggested that I wouldn’t buy it again. I get how this doesn’t jive with my assessment, but my reasoning will provide more evidence as to why people don’t get Mikkeller. You see, I bought this beer in St. Louis. Despite the fact that we receive a good number of their beers here in Columbia, many of their special releases are only available two hours away. And when we arrive from our journey down I-70, a Mikkeller beer is more expensive than most. A difficult, hard-to-find, and expensive beer just won’t be readily accepted by the average beer drinker. This is the challenge Mikkeller has to face on a regular basis in winning over fans. These factors play into the average beer enthusiast’s dislike of Mikkeller. However, if one were to take the time, it becomes quite apparent that Mikkeller brews some of the best beers on the market. Even at its worst, a Mikkeller brew is interesting. I once described their Black Tie Stout as “honeyed ash tray.” This wasn’t to say that the beer was bad. It was meant as a way to describe something I’ve never tasted before. The beers are difficult and challenging to consume or pinpoint. A Mikkeller beer is not an easy drink, but does everything we experience have to be easy in order to be enjoyable? An easy parallel lies within music. Some of the most difficult albums and bands often become the most rewarding. A band like Joan of Arc or musician like Dan Bejar can stretch the boundaries of rock music enough to make you work to appreciate their art. You might not enjoy every song they record, but the journey you’ll take to get there is well worth it. The same can be said for Mikkeller. We have to try a variety of their beers at different temperatures and different contexts in order to judge each beer on its own merits. The conversations and adventures that ensue are why many people get into craft beer. 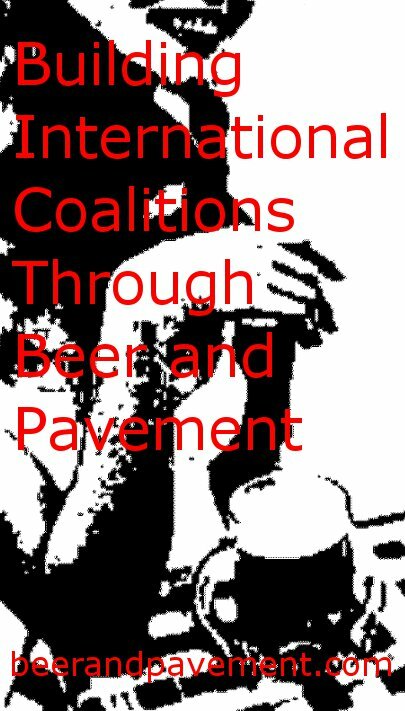 They want to challenge their palates and their perceptions of beer styles. Mikkeller is the brewer for the beer nerd who wants to be challenged again. Koppi Coffee IPA does that. I’m glad I drank it. Writing this makes me want another. Note: This was my second attempt at this post. The first was maybe the best piece of beer writing I’ve ever done. However, I had to unexpectedly close my browser without saving. I assumed that the auto-save preserved my masterpiece, but I was not so lucky. What you get in stead is this hastily scrawled post with no footnotes. Monday, I hope to tackle Stone week. Preach it, brother! I also don’t get the bashing. There are other similarities but baby is crying now, gotta go! That works. Keneally is not my cup of tea, but he is not unlike many indie artists who do the same thing. I get the analogy of the off-beat solo artist who plays all the instruments angle. Not sure that Bejar does that, plus he plays in some other bands. However, Bejar would work as an analogy for the number of beers and brewing projects Mikkeller puts out. I’ll have to think of another example, but, again, your example is an apt one. Thanks, but I’m using Chrome. It was acting wonky and I was actually the one to shut it down without saving. I really should just blame myself. Good article, showing that narrow-minded misconceptions of what beer is and should be are so outdated. Great read! Mikkeller is one of my favorite brewers. I agree that even their failures can be secret successes. BTW, did you see that Mikkeller put this article on their Twitter feed and Facebook page? I didn’t. Thanks for the heads up. Thanks! It’s true. That first post was a masterpiece. It will forever be known as “the greatest beer post never written.” Oh well. Good luck with the importing. Nice article. I just bought Mikkeller’s Weasel and now I think I’d like to buy lots more. Making strong unconventional brews is what brought Dogfish Head their success and hopefully Mikkeller can replicate that to a certain extent.